I’m always looking for new traffic sources with all the Google changes and so forth… lately I’ve been looking more and more at Facebook paid traffic. My friend Keith Dougherty is pretty much an expert in all things Facebook, so when I saw Keith’s and Ron Douglas’s new course all about Facebook, I was instantly intrigued. 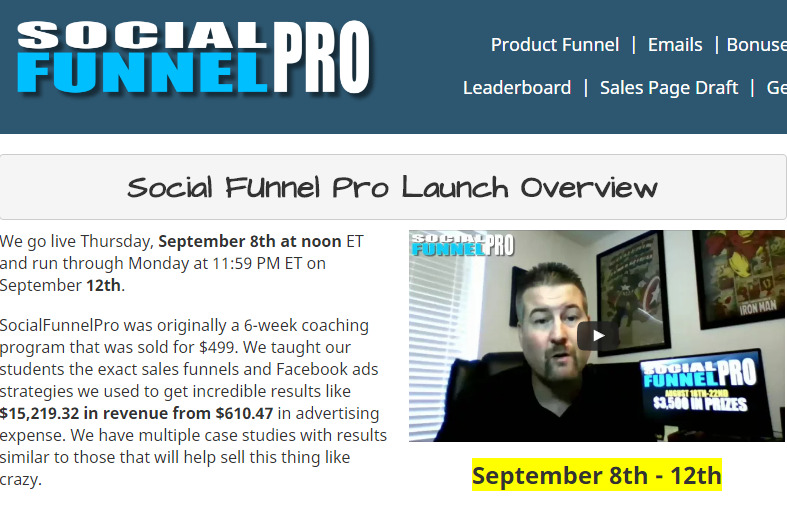 On closer investigation, I discovered that the course itself is an eight-week webinar immersion in live Facebook training, plus four critical software tools that they implement to get the kind of results they get. For example, spend $600 on ad spend and bring in $15,000. That’s the kind of results I’m talking about. Go to http://bitly.com/SocialFunnelPro to learn more.